Sometimes art is invited to the party; sometimes the art is the party. The latter was the case at the most recent ART PARTY, hosted by the Atlanta Contemporary Art Center. The event was both fund- and fun- raiser, and was an opportunity to welcome many in the Atlanta arts community to ACAC in advance of its new free admission policy. 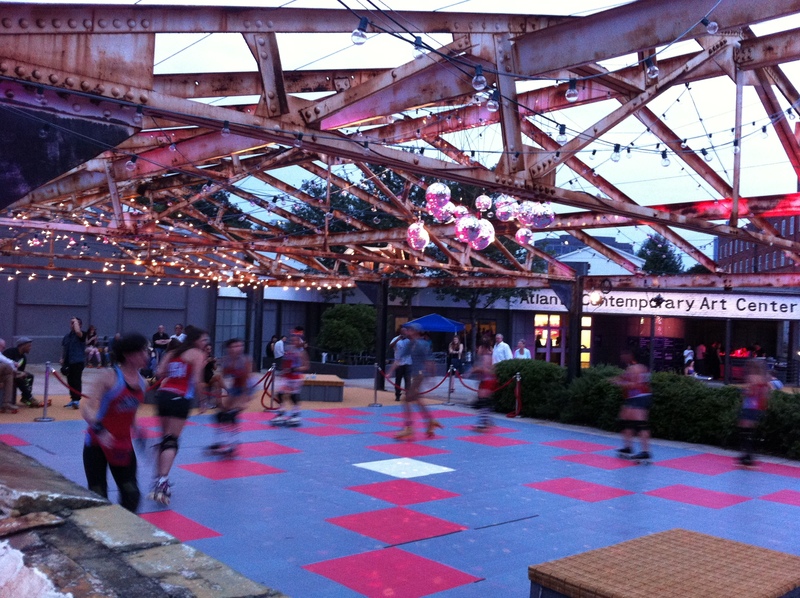 Complete with DJs, roller-skating, a performance by Montreal-based hip-hop artist Narcy, and of course, studio visits with the Art Center’s resident artists, ART PARTY felt like a right-sized event for an institution that was seeking to re-energize the public’s interest in its importance. And in large part, ACAC succeeded. I’ve been to many parties where the art is forced onto a social occasion in a distracting manner, as well as gatherings where social occasions are forced onto art moments with uncomfortable awkwardness. 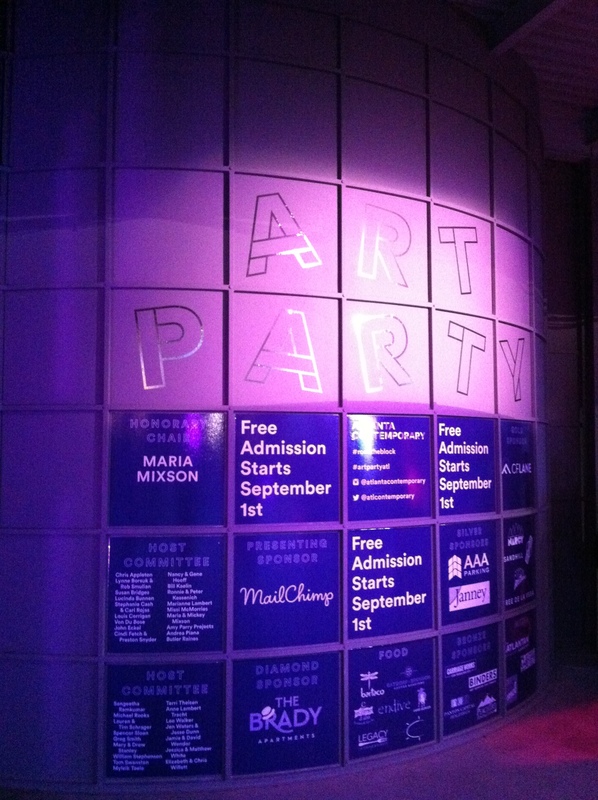 In any case, ART PARTY felt different. Rather than feeling like a series of “artist talks”, the studio artists were on hand in their studios to engage with the stream of visitors, discussing pieces on hand that spanned various stages of completion. I found the atmosphere refreshingly unpretentious, yet with a great deal of integrity in highlighting the quality of the art on display. And to top it off, the night ended with an enthralling performance by Iraqi-Canadian rapper Narcy, who brought an energetic, politically charged brand of hip-hop, sprinkled with a dash of “rock-the-party” bravado. Not many in the audience had heard of him prior to that evening, but his live show garnered a host of new fans in Atlanta; the crowd was definitely buzzing after his performance. As I remarked to a few members of the Atlanta Contemporary Art Center staff after the event, ART PARTY felt like a great use of space—artistic, physical, and cultural. And in a city like Atlanta that is often at odds with the notion of using space wisely, it was a pleasure to take a moment to celebrate a moment when somebody got it right.